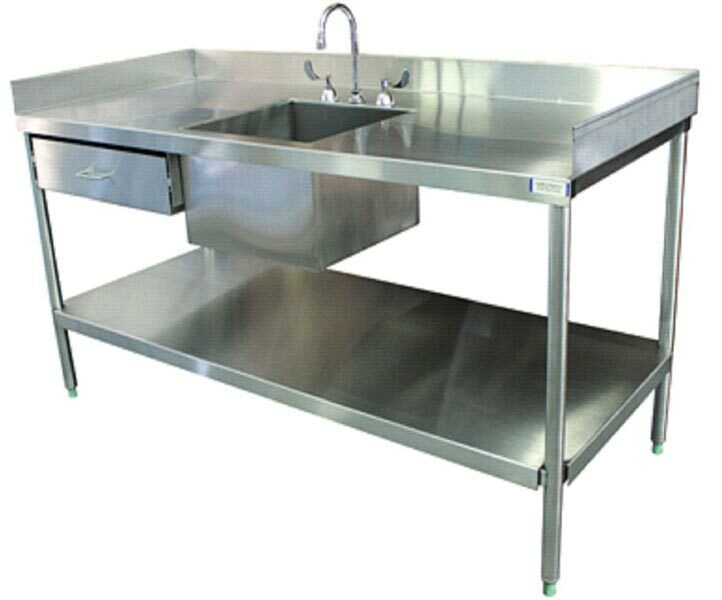 Stainless Steel Laboratory Round Legs Sink Table that we offer comes with optional drawer, under shelf and back and side splashes. 16 Gauge stainless steel is used to manufacture Stainless Round Legs Sink Table at our vendorsâ�� end. It provides a solid work surface and washing area. Our Sink Table features swivel gooseneck faucet, wing handles and heavy duty leveling feet. Plumbing hardware and 1/2 inch spill/retainer lip are provided with our sink table on demand.